Your tea hat’s are gorgeous are rugged looking. And they look like they’ll keep your tea proper hot for every cup poured out of the pot. I especially like the Wensleydale/Herdwick one, the creamy colour pattern looks like it’s a giant darning mend. I love making a pot of tea, even when I’m the only one drinking it. Though all too often it’s an excuse to stop what I’m sewing and eat cake instead. 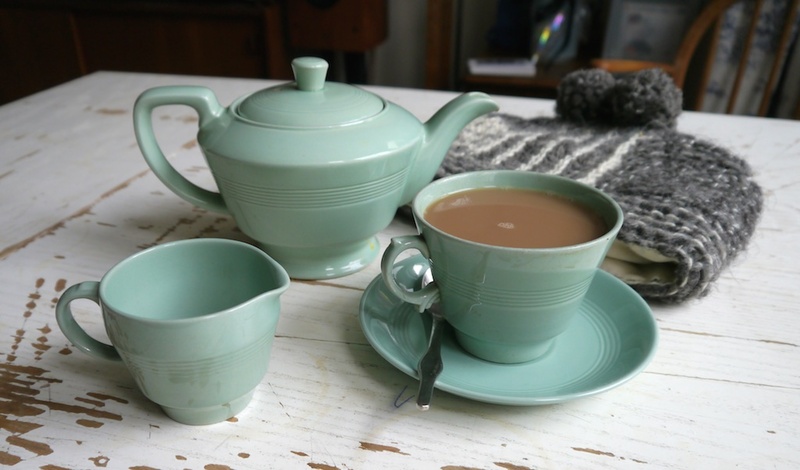 My favourite tea comes from James Gourmet Coffee, their Earl Grey is just delicious… It doesn’t matter where you go, the best cup of tea is always the one you make at home. 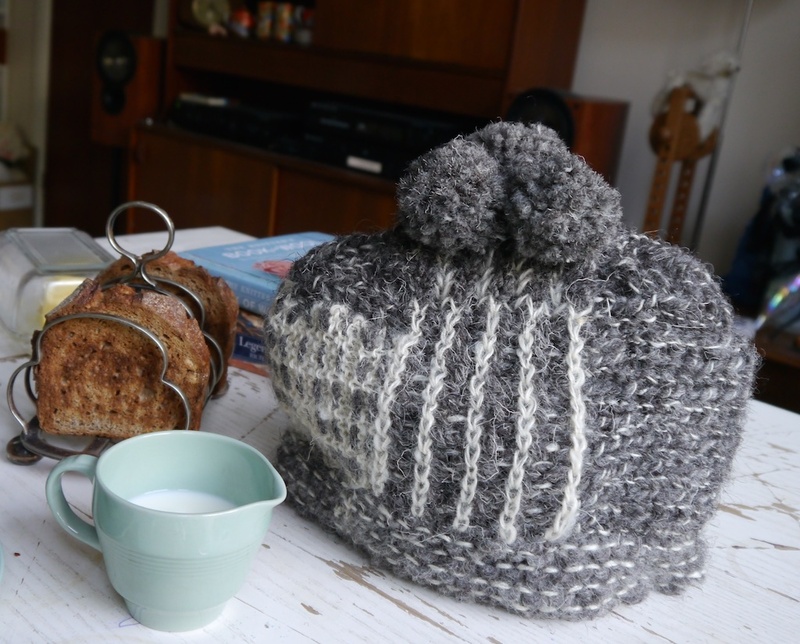 Beautiful wool choice…perfect for keeping your tea cosy! C’est magnifique, ça me fait rêver ! Excellent job of modifying as you go, and using all your bits and bobs! 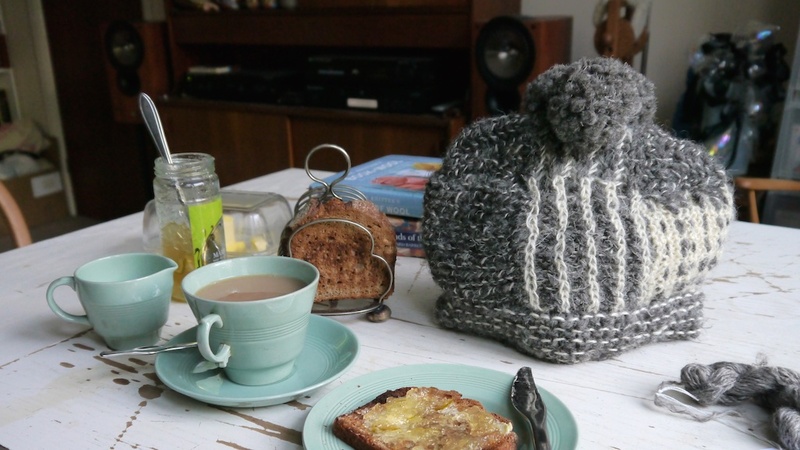 A very cozy teapot in its wooly hat. It is just wonderful. Thanks for sharing so much detail. Very timely as I just finished carding a Herdwick fleece! Yes, yes, supposedly only for carpets but I am going to make an outer wear sweater from one of Kate Davies patterns. I like this tea hat but I really covet your first tea cozy!! I love them both; but the Foula a bit more. I don’t even have a tea pot but I do drink a cup of black tea leaves with lemon. If I eber find a good tea pot, I’ll knit “muts”. 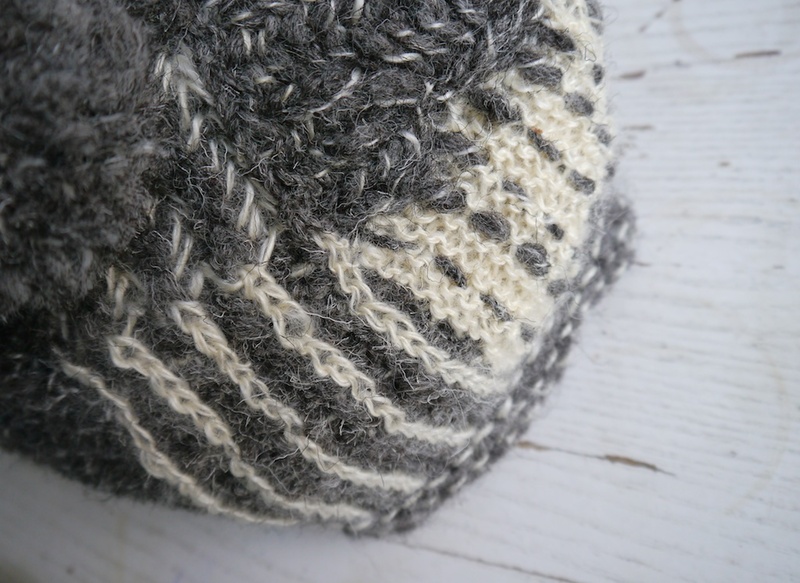 Charming article and sensitive knitting designs. 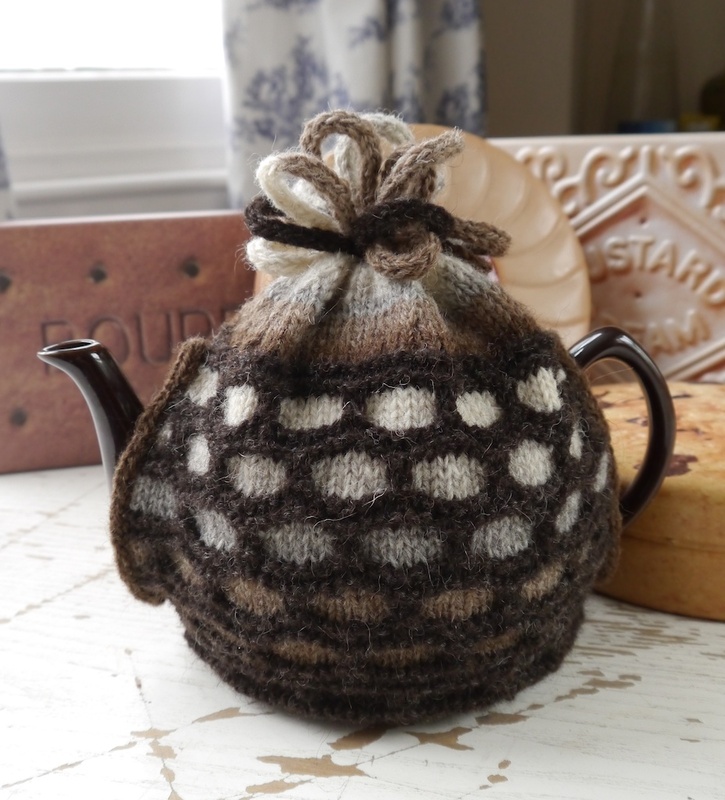 Love the tea cosy. We have just written a blog post on nice things to do in Winter and afternoon tea is on the list. Need some cumpets, toast and jam and cake too 🙂 We also love Beryl china. The name says it all really – whilst modern products need an ‘aspirational’ title Beryl is the name of an old aunt or a nursery school teacher!! Oh! I love the tea hat but I collect Beryl too! In Australia! I have a dinner set….